The next section of the book we’re looking at is on simplicity and plainness. Since Mackenzie wears what Isabel Penraeth dubbed “plain modern” clothes, we’re gonna talk a fair bit about that. For reference, Mackenzie’s everyday clothes are a blouse, a black skirt, black boots, and a white head covering. Right up until that last bit, that wouldn’t be unusual office attire. Plain dress is only one part of plainness or simplicity. It’s the most visible one, so it gets a lot of attention. There are a lot of functions to distinctive dress. One of them is that it positively identifies you as part of a group. That’s good for outreach, as long as you’re not making us look bad. But that not making us look bad thing also makes it an extra check on behavior. Several iterations on Quaker swag have occurred to take advantage of the outreach aspect. Micah asked whether all Quakers should dress like this. And so we discussed Margaret Fell’s “silly, poor gospel” line. Adopting a personal uniform can be a discipline for people who find themselves easily drawn to things like fashion. Some people who do so are choosing to prioritize other things and declare fashion to not be a priority. 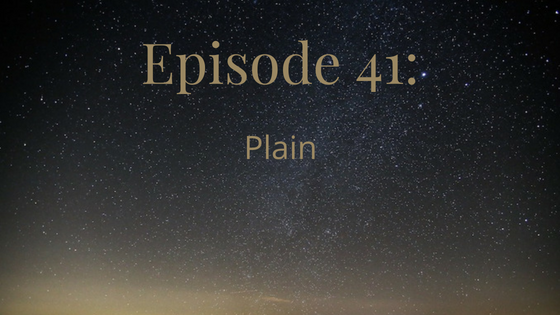 We talked about obedience as a reason to “go plain.” If the Kingdom of God is a person’s highest priority, they’re bound to do some things a bit differently. The book mentions looking and speaking differently. It’s meant to be the result of an inward change. It’s not meant to be done just because (or just because someone said so). The modern era presents new challenges for how to address this social leveling. Income and wealth inequality are growing in the US. At the same time, social modes are already leveled. What’s the next step? We also touched back on recording ministers. 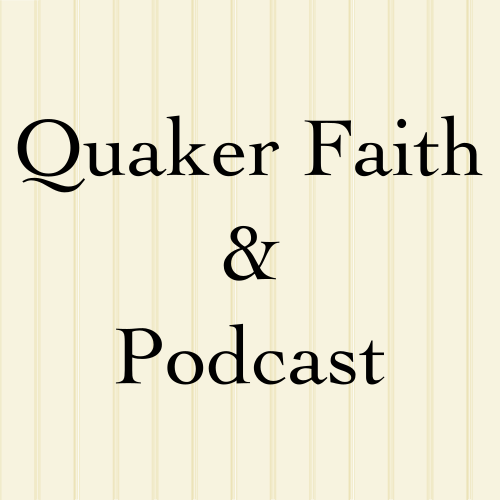 Mackenzie: Welcome back to Quaker Faith and Podcast with Mackenzie and Micah. This time, we are looking at section 7F which is on simplicity and plainness which, if you’ve seen a picture of me yet, you know that this means I’m going to talk a lot this time. Mackenzie: – is how Isabel Penraeth who is quakerjane.com would characterize it I think. Micah: Basically just sitting across from her, she’s wearing a nondescript black skirt. Micah: With pockets. I’ve been informed that you’re not really a person to be trusted if you don’t remark that your dress has pockets if you’re complimented on your dress. She’s wearing a button down purple shirt with a collar and she’s wearing a … I don’t know what that is. Is that linen? Micah: A linen head covering. She’s wearing some kind of boots, right? Mackenzie: Yes. I’ve had this happen a couple of times. Actually just this past Sunday. I was out in Cumberland, Maryland. I was driving home from visiting conservative friends in Ohio. I stopped in Cumberland to take some photos of the old railroad station. There were a couple of guys there who commented on my clothes and asked whether I dressed up for something. I said, “No, I dress like this everyday.” They said, “So, you’re a Christian.” Actually they said, “Our wives do too. So, you’re a Christian then.” So, we got to talking about Mennonites versus Quakers. I explained that we come from England, not from continental Europe. So, no, we’re not technically Anabaptists. Micah: Old Border River Brethren? There’s so many types of brothers. Mackenzie: Yes there are so many. Yes. I think it might have been Old Order River Brethren. Might have been German River Brethren. I’m not sure. Bill Rushby could tell me because they were the ones that are down near Richmond. Mackenzie: It was winter and I have a big wool bonnet that I wear in the winter. It keeps my ears so warm it’s great. I took it off so they could see my white head covering and one of the women stopped and she complimented the head covering and then said, “So, which kind are you?” Because we don’t have an established way of how we handle this? So, I told her I was a Quaker. She said, “Oh, we’re Brethren.” Apparently she had been to Earlham before which Earlham School of Religion is sort of a shared seminary for Brethrens. Micah: Oh. These were actually Church of the Brethren? Mackenzie: No. These were old whatever. They were the Old Order or Old German or whichever it is. She had visited Earlham before. Mackenzie: She said the specific name of what they are and then said, “That’s related to the Church of the Brethren as an explanation but then she said that she had been to a Quaker meeting because of the connection between Quakers and brethren at Earlham. Micah: So, this Mackenzie’s dress is an expression of plainness which is what we’re going to be talking about in today’s podcast. Mackenzie: Right. So, the book starts out with just an introduction of … So, it points out that at one point, you could very easily tell somebody was quaker based on the way they dressed, the way they spoke. If somebody dressed a particular way and said, “How is thee today?” You knew they were Quakers. Nobody else was calling you thee. So, it was a very public group witness. It was sort of practically like having Quaker written across your chest on a t-shirt that that’s who you are interacting with. Micah: Maybe that’s what we should do nowadays. Mackenzie: Well, there is Quaker Gear. Or those t-shirts that say, “Quakers are way cooler than you think.” There’s ones that say “Quaker Gear” and have a picture of William Penn on them. Jon Watts’ t-shirts, right? There’s some Quaker shirts out there. Emily Provance made silicone bracelets that say Quaker on them. So, when you’re reaching across to hand the cashier money, they see it says Quaker on your arm. Mackenzie: So, I guess we can sort of start. There is a clear outreach in evangelism thing that happens when you have that visibility. Micah: Well, traditionally … And, by traditionally, I mean in the great Quaker middle period of classical Quakers and Quietest Quakerism. There were many functions but there was certain outreach but the primary thing was protection. Basically saying, these are our people. This is our in group. Just be aware of who they are. Basically, holding the people in the community accountable. Micah: -drinking whiskey and riding the buggy on the wrong side of the road. You might mention that to some people and it might harm the reputation of the Amish community. Well, similar thing with Quakers in the Classical Period where they were all dressing plain and speaking in a distinctive way. Micah: If you saw a Quaker doing something out of line with their testimony, that cause a public scandal. Fast forward to today. I might pull some antics in traffic and be kind of a jerk but no one knows I’m Christian so no problem, right? Mackenzie: That accountability thing is a major part. I guess we’re talking about why would you dress differently. One is the outreach component thing I was saying, right. But then, there’s also, like Micah was saying, an accountability to it. If you know that the way you are dressed represents your group, whether that represents your group as represents Quakers in particular, which lots of people don’t realize we’re alive anyway. So, Christians in general or maybe peace churches or whatever. Mackenzie: In my area, I could easily be mistaken for Jewish. That has happened. There’s a Orthodox Jewish woman who has twice mistaken me for Jewish. The second time the conversation went … She starts asking me a question. She goes, “Did we have this conversation before?” Yes, but over in Giant. Mackenzie: But, that accountability can be really helpful for keeping you on best behavior. Micah: Well, an interesting thing and something the book talks about is new, today in the 20th and 21st centuries, is that traditionally everyone in your meeting would have dressed pretty much the same way and you would have been recognized as a member of the group. Whereas now, you dress your own personal style of plain. So, there maybe a dozen other members of your meeting seeming random. It doesn’t necessarily link you to any particular community. Mackenzie: Right. The Mennonites and the Brethren I met couldn’t tell that I was Quaker. They knew I was somewhere in their vein but didn’t know which group in particular. Micah: Whereas, with many of these groups, they can tell. It’s almost like they’ve got a dictionary of these three things means this group. This means that group. Mackenzie: Like Bridget in Ohio yearly meeting. The head covering she wears. That means Lancaster Conference Amish, but she’s Quaker. Zaley up in Canada. The head covering she wears, that is Midwestern Amish but she’s a Quaker. Mackenzie: But, then both of them, the dresses that they’re wearing are Mennonite style dresses. I’ve talked to the Drunken Mennonite. Seriously, this is a blog and a person on Twitter. I can’t remember her name though. Last name starts with a K, I think. I’ve talked with her before about coming up with a website where we can try to narrow down which group somebody’s from based on what they’re wearing. Mackenzie: If they’re wearing a cape dress, then that’s more likely to be Mennonite than Amish versus Amish tend to wear the three piece dresses, right? Is the head covering pleated or is it gathered? Is the brim tapered or straight? All that sort of thing. But, that every page would basically need to have a little “or it could be a Quaker” because we kind of mix and match between the various things. Mackenzie: Now, obviously as Micah said, I’m wearing a button up shirt and a black skirt so my shirt came from the thrift shop. It’s my size so I wear it. Actually, don’t see very many doing separate shirt and skirt. That’s usually my answer when people ask if I’m Amish is that Amish don’t wear separate shirts and skirts. They only wear dresses. Micah: Do you think it would be good if all Quakers started dressing plain? Mackenzie: Is this the part where we quote Margaret Fell? Mackenzie: There’s a story from the early days of Quakerism where somebody was getting upset about somebody wearing bright red and Margaret Fell’s answer was that everyone dressed exactly the same is a silly poor gospel. Now, that’s often used as a way of saying that we shouldn’t care about simplicity and plain as dress at all. We shouldn’t care distinctiveness. But, I’m sure a lot of that is a reaction against that classical era of Quakerism that Micah talked about where there was a greater degree of uniformity. Mackenzie: There was not absolute uniformity. There was not this is the one favored dress but there were some pretty strong guidelines about laces in fashion. You’re not going to wear it. Mackenzie: Drab colors. That doesn’t just mean gray as people often think it does. Olive and other color like that. There’s a couple of Hicksite bonnets in one museum that are made of silk where it’s yellow one direction, gray the other direction. So, it kind of changes between a yellow, green, and gray color depending on the angle you’re looking at it. Sometimes, drab means a purple-y color. Micah: So, you think it’d be useful for all Quakers to dress plain? Mackenzie: I haven’t thought about it. I suppose there’s that that outreach thing. I like outreach. Micah: What effect do you think it has for you to dress, for you to be a one plain dressing member of your meeting? Micah: You’re not? How many are there? Mackenzie: I’m not sure how many more members we have now. We have weekly attendance of about 100. Mackenzie: In the DC area, the number of visibly plain friends … I’m not sure whether to count all of the men who wear suspenders as intentionally being visibly plain or as just being old. Micah: I think if you’re a guy, you gotta wear a hat for it to be like registered. Mackenzie: I mean, the DC area, there’s me, my husband Daniel, and his sister Annalee. Micah: So you literally can count these people on your hand? Mackenzie: Yes. Yes. Michael over at Bethesda Friends. Scott at Friends Meeting of Washington and Julie at Alexandria Friends. So, there’s a half dozen of us in the DC area and this probably surprised the friends in Ohio Yearly Meeting actually. They were telling me that there was friend from Amsterdam, the only one, who was visiting DC and she was intending to visit Marlborough meeting in Pennsylvania that Sunday, until she learned just how far apart those places are on an American map. The U.S. is much larger than Europeans realize. So, it turned out that driving two hours to get to meeting wasn’t going to be on her agenda. Said maybe she’ll go to your meeting and they were thinking that my meeting would be the logical one because they have me so that we used to the plain thing. At first, when they said maybe she’ll go to your meeting, I was like there’s nine meetings in the area. They’re like, but yours is used to the plain thing so she should go to yours right? I said four of those nine have at least one person who dresses unusually. Micah: So what is this about? Mackenzie: I guess the old Quaker way of phrasing stuff would be to talk about the vain fashions of the world. That there are all these things in day to day life that you could be very interested in and spend a lot of time on that could be better spent on prayer, bible study, doing things God generally wants you to do. So, rather than spend time on things like fashion and having the latest hairstyle or doing your makeup in whatever, following the trends, that you’re stepping out of that. Mackenzie: I think one of the other women in the area also said that was her motivation. She is intentionally stepping back from fashion and saying I’m not going to be part of that stream. I’m not going to try to keep up with that because that’s not what’s important. Mackenzie: So, we each sort of settle on what our personal uniform is going to be and then go okay, now I’m not going to think about fashion anymore. I don’t need to. What I’m going to wear is already covered. I’ve got six shirts and two dresses and that’s what I wear every day. I do laundry once a week. What am I going to wear? What’s clean. Micah: So maybe that’s why they joked about Barack Obama being a Quaker ’cause he wore the same suit everyday. Micah: Yeah. I think it was on the Daily Show. Micah: All Quakers I knew were passing it around as a meme with Barack Obama superimposed over the Quaker Oats man. Mackenzie: All right. I know there also some talk of Obama having been influenced by the fact that his daughters went to Sidwell Friends School which is a Quaker school. Micah: It sounds like plain dressing individuals, sort of, a lifestyle choice. A life hack in some ways. Mackenzie: Sort of, I suppose. The way that the chapter introduces this is by saying that “simplicity was considered a testimony to the basic importance of God’s leading and our submission to Christ. Being a Friend meant living by a specific set of spiritual and practical priorities.” It talks about how they didn’t use the words simplicity and plainness in the early days. They were just thinking themselves as being obedient. Mackenzie: That also means that it’s not supposed to be just a thing you do for the heck of it. It’s supposed to be the result of having your focus changed to being I’m so focused on what I’m supposed to be doing that I’m not gonna bother with this other stuff, right? Mackenzie: This chapter also talks about plain speech as part of this as well which I do not do the plain speech. Micah: We do in our family but it’s not really a religious thing at all. It’s just an intimate form of address which I think it’s what it’s become. In Ohio yearly meeting, many people use plain speech but it’s pretty much as an intimate form of address. There maybe one or two people but I think almost no one uses it with anyone in the world. I think the widest range is people like other Quakers. Mackenzie: Yeah. That’s what I’ve noticed too. I find that unusual. If the point of the plain speech of calling people thee and thou is for the early friends was about leveling society downward to the point of talking to everybody as someone that they are intimate with as opposed to regarding everybody as their spiritual betters. Sorry, their betters period. Well, the idea was social stratification was extremely stark and so some people were better than others legally and politically and socially. So, Quakers said we’re not about that and just called everybody the informal former dress which is leveling everyone downward. Mackenzie: As we have all noticed in actual society, we have leveled what happens with the second person pronoun in our wider society because everybody uses “you”. Eventually, most Quakers gave up on leveling everybody downward and went okay, leveled upward. Whatever. Good enough. Micah: Yeah. I mean we’ve leveled downward. Not just dramatically but in practice. The other day I was helping my boss, the guy who employs me, load up his car with stuff from our office and as we were leaving I’m like, okay, man, see you next week. That would be unthinkable fifty years ago to call my boss man like that. It was totally informal address. We as a society, currently, the way we talk to another and address another, we are as low in formality as we can possibly get. Micah: I bet you Quakers still did, mostly. Mackenzie: I don’t know. For the early Friends they had that thing about not doing the titles but I don’t know in the intervening years how that went. Micah: I’d actually be curious about that to know. I think this relates to plainness. It’s worth discussing. Yeah, so Quakers traditionally, we have mentioned this on another podcast, but Quakers traditionally like eschewed titles in general. To address someone formally was to call them first name, last name. You will actually still see this in Quaker community some places where if you want to be super formal, the most formal way you could address someone was to fall in Quaker convention is to say Friend Mackenzie Morgan. Right. So, it’s like Friend first name last name. Mackenzie: I have seen some Friends object to using Friend alone as a title. So, it’s one thing to say our Friend meaning somebody who’s part of your meeting right? But, you wouldn’t start a sentence Friend so and so. Micah: When I read documents from say the early 20th century, for example … Friends were amazingly, it’s amazing to see how deeply in tune with the changing culture Friends were in the early 20th century. Friends were deeply integrated to the extent where the Five Years Meeting became the Friends United Meeting. They were regularly holding votes on everything. They don’t do that anymore. They’re now back to a consensus meeting, no voting kind of process. Mackenzie: Y’all can’t see my eyes being like saucers. Micah: I don’t know if this is true, I’d have to look into this, but it wouldn’t surprise me at all if FGC was the same way. It would not shock me in the least if FGC, Friends General Conference, also was voting in the early 20th century. But, Friends were deeply influenced by the surround culture in the early 20th century. It wouldn’t surprise me at all if Mr. and Mrs. or even Professor or Doctor, it wouldn’t shock me at all if those were common things to be writing to one another in official correspondence between Quaker agencies and stuff. It wouldn’t shock me at all. Micah: It is interesting to me. Because we are now in this era of intensely flattened rhetoric, while at the same time being an era of intensely rising income inequality and social class distinction. This weird situation where I can call my boss man but I don’t know what my boss makes. Probably nothing because we’re start up so he’s probably foregoing a lot of money. Mackenzie: Okay. So let’s pretend. Instead, how about me? I work for the Washington Post. That means you go far enough up and eventually you hit Jeff Bezos. Micah: So, Mackenzie probably could call Jeff Bezos “man”. She could probably get away with it as this point because that’s just where we’re linguistically and culturally at but Jeff Bezos also makes more in a minute than Mackenzie will make in her life and controls lives of millions of people. Mackenzie: He’s never been Dr. Dorlan. Micah: No. Occasionally, someone’s found out he’s a doctor and called him Doctor but he has never ever ever encouraged people to use his title. So, I was raised with that. It’s sort of a mind flip for me to think we’re actually … So, we’re in this place of extreme class stratification that’s growing in this country and becoming really calcified and yet we have this linguistic thing going on where it’s all this feigned casual. I’m like, how should we be using language? Is there a case to be more formal? Mackenzie: It’s certainly easier to learn. Japanese has like seven or something levels of formality. I don’t even know how to conjugate Japanese if I was going to talk to somebody who works for the Japanese government. You have to pronounce your verbs completely differently. Micah: I guess I’m wondering, might there be good reasons to be more formal? Be formal with everyone, I don’t know. Mackenzie: Well, not a class thing but as race thing for instance … This isn’t really a right now thing. But, somebody in my meeting told me that when she was in college, the woman who worked the front desk at her dormitory building was a black woman. In that era, she was in college in the 1950s maybe, in that era a white woman would have been Mrs. Smith. A black woman would have been Betty. That was part of that social stratification of races in the U.S. was that black people did not get titles and also would be infantilized. You could have an 80 year old black man who was working and would be called boy. Mackenzie: For her, what seemed appropriate to her, was that she did call this woman who was working in the dormitory Mrs. Smith because that woman had been deprived of that so much. That leveling out as far as she was concerned morally required that she add to that woman’s pile not simply stop adding to the other persons’. Micah: Yeah. So those are some things that I wonder about that would not fit within traditional Quaker plainness. But, I wonder should I start … Particularly in those cases, but just in general, should I be more formal? Are there good things about social distance? I think it probably would be a good practice … Basically, the less power someone has in a situation, the more honor you should provide to them in the way you speak to them. Would probably be a good place to start. Mackenzie: Yeah. I’ve seen some good conversations about, you heard this conversation about things like reporting ministers and using the title reverend on pastors no denomination. Because of the inertia behind men being ministers and pastors that has found in every other denomination that women are usually assumed to be the pastors wife and not the pastor herself. Mackenzie: Ashley Wilcox has said she thinks it’s very important that Friends don’t give up the practice of reporting ministers because when she goes to anything, especially medical, where there are conference for pastors, things like that, she is automatically assumed not to be a minister herself because she’s female. So, it’s very important that we continue to have reporting so that we can balance so she has the credential to show. It’s a terrible situation that she as a woman is going to have to show that credential when the male ministers are just going to be assumed to be telling the truth or assumed without them even saying it to start with. That’s a conversation that’s happening right now is about women with titles like doctor and reverend and having those titles. Micah: I’ve got to say I’m not really cool with the whole reverend thing but I get where that’s coming from particularly with people who traditionally have not been allowed to have those positions. It’s an interesting thing for Quakers since women have always had pretty equal access to ministerial credentials. So, it’s just an interesting thing. We’ve always issued the titles. Yet, women and men … I’m sure it’s not perfect but in most parts of Quakerism throughout most of our history, men and women have been relatively equal. Micah: so, it’s an interesting situation to come into other areas of the church where woman have basically been totally subordinated for nineteen hundred years or something. It’s like wow. It’s a little different. Mackenzie: Internally, the recording doesn’t seem to matter as much for us. But, it’s when we have to interact with Christians from other denominations that we need some way to get through their worldview. Micah: Yeah. I wonder about that too though because do we lose our witness when we pose as clergy, if you know what I mean? Quakers have ministers but we don’t have clergy. Mackenzie: Or we don’t have laity, one of the two. Micah: One of the two. I would say more we don’t have clergy. Clergy being, in my mind, a clergy’s like a special class of Christian has special magic powers. Right? Quaker have ministers. Quakers have different members of our churches have different spiritual gifts and we have different roles. There’s no one who’s like a special kind of Christian that has special powers. I think that’s really valuable. Micah: Just something I wonder about is … I’m thinking about a lot right now in terms of what it means to be a Quaker pastor. To what extent is it faithful to act like the rest of the nations and sort of blend in as a clergyman? As opposed to saying no, we don’t actually recognize the distinction between clergy and laity. We think these are made up things. Mackenzie: I’ve seen where there’s like petitions or open letters that ask for clergy and religious leaders to sign. I’m like, so technically, could just any Quaker sign them if we don’t have laity? Or could no Quaker sign because we don’t have clergy? Which was does this go? Micah: Right. Yeah. I would say, just on that particular question, I’ve always felt free to sign on to … This is a little bit of a worldly stand here, but since I went to seminary, I’ve felt very fine signing on to documents that are asking for signatures of religious leaders because I’ve been a religious leader among Friends for a while now. I didn’t need a piece of paper for that. Micah: I guess I would say if you’re deep enough in the Quaker leadership … Like leadership in your church community where you even ask the question, am I a church leader? You are. If that’s a serious question for you, you are. Mackenzie: Certainly lots of churches have lay leaders, for people who are not ordained, are leading small groups or leading bible studies or women’s ministry. Whatever they’re doing. Micah: I guess just to sort of bring it back to plainness. I think it is plain to embrace the gift and embrace the ministry without needing to fancy it up with a bunch of titles and religious bureaucracy around it. Mackenzie: I’d agree with that. I do still think we should continue to record ministers because I think it’s an important part of nurturing the ministry. You have to admit that that gift exists there. The hesitancy to record ministers, I think, comes from a hesitancy to acknowledge the gift to start with. Micah: I would just say I agree. I would say that I think more important than recording, which I think is a fine practice to keep up, is actively recognizing and empowering leadership and allowing people to take leadership in Quaker communities. Not have everything involved to committees but actually let individuals take leadership and have some measure of authority in the community. I think it’s important. If that’s something recording can help us do, I think that’d be great. Mackenzie: You can find us on the web at quakerpodcast.org, as Quaker Podcast on Twitter, Facebook, or Patreon, and on iTunes.